Skull Kids are what a child becomes if it is getting lost in the Lost Woods. 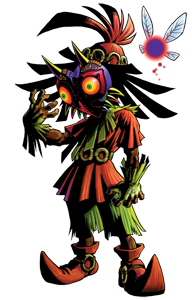 Well..here on the left side and in Zelda: Majora`s Mask you see what a Skull Kid can become when it comes under the influence of this powerful item. 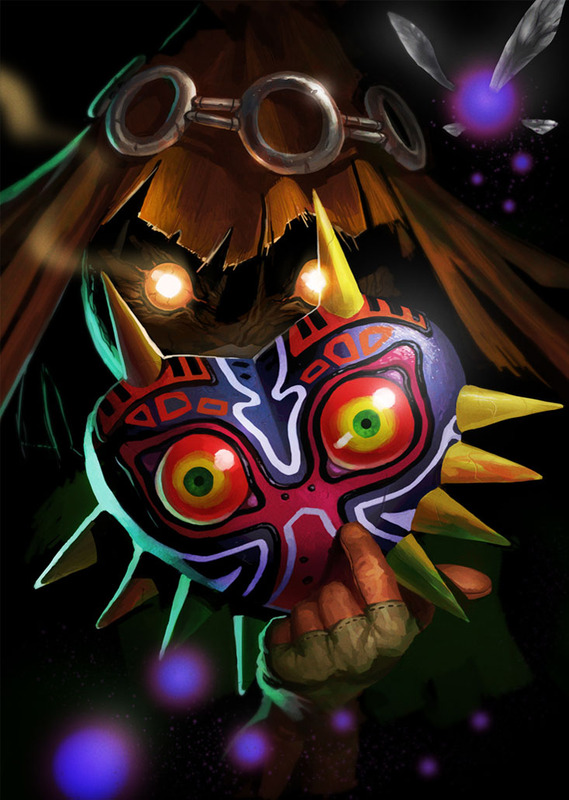 The Skull Kid is possessed and used by the mask through the game until the mask decides to possess the moon and uses it to crash on the World of Termina. This was one of the first entries for Link`s Blacklist, thanks Go-MaxPower for your work!